Entering your first ever Crossfit competition can be a daunting task! So here are 20 tips from Crossfitters all across the UK to help you out. 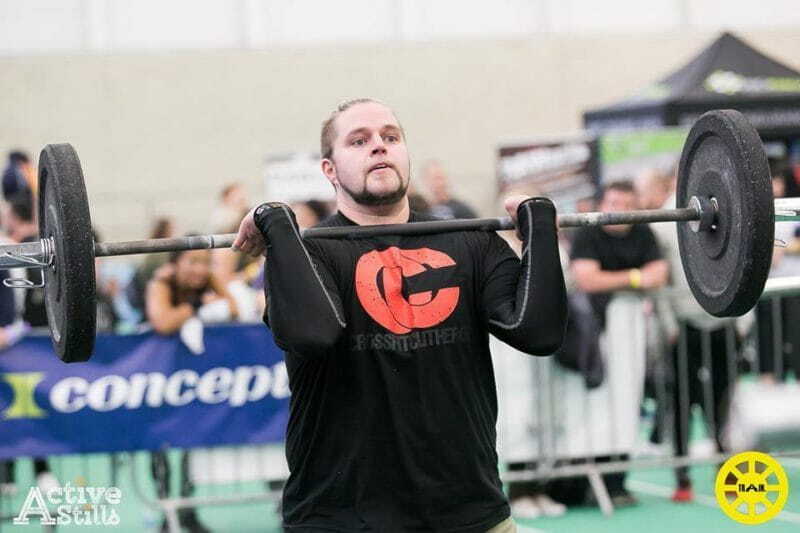 Olie Pellet from CrossFit Clitheroe recently entered his first ever Crossfit competition. 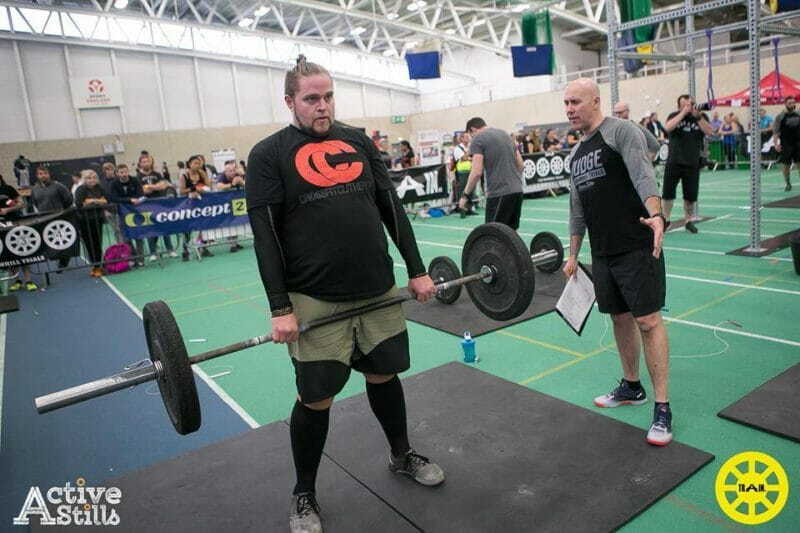 In the run-up to the event he asked for advice from the UK CrossFit community and received a great response to help him out! From nutrition tips and psychological strategies through to simple pieces of kit that should never be forgotten, we’ve collected all the information below, so that hopefully it can help you out as well. Tick each item off as you pack it to be 100% sure that you have it. When 100 toes to bar are announced in the first workout, you want to be totally confident that you know exactly where your hand wraps are! You don’t want to sweat right through the only one you have in the first WOD if you then have to walk around in it all day. You may have to workout at different times from your normal schedule, and you will need the energy to perform, and the fuel to recover quickly after every tough workout. This seems to be a no brainer, but in reality, every competitor is warming up for event one only. I barely see any Crossfit athletes in the warm up area after event 2 and 3. 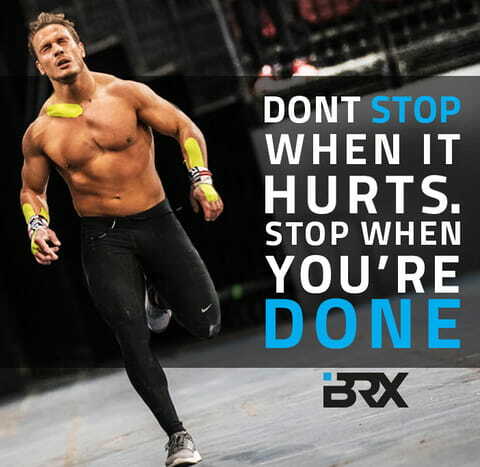 Even if they aren’t, you must just accept their decision, and get on with the WOD. Getting frustrated with them no repping you will only help you to lose focus and energy. It’s easier said than done, but this is an important point to consider if you want to perform well. For sitting down comfortably in between WODs. If you have trained hard, eaten well and prepared mentally for the competition, and you hit it with the right attitude, then you will have fun and do well. Your training, diet and attitude are things you can control. Other things may happen that are out of your control. What happens if the time of the workout changes, or you have to switch to a different heat, or your assault bike is faulty for example. With these external factors, you just have to take them on the chin, don’t moan about it and just get on with the day. If you have a favourite pair of lifters that never let you down, use them for the competition. Don’t take a brand-new pair that you’ve never used before. If you feel good in the kit that you have, then it will help you perform well. On game day I pack the same food I pack every week day for my meals. However, I have found that breaking the meals into smaller divisions is beneficial to accommodate the different schedule of the competition. Ensure you hydrate adequately in the day or two prior to the competition, and sip water continuously throughout the competition. Because of drinking a lot of water throughout the day, you should have to urinate a lot during the competition. I generally make a pit stop about 20-30 minutes before my heat to ensure I don’t get the urge during the WOD. I know that’s easy to say and difficult to do, but seriously, what is there to worry about? As I said earlier, your level of performance is pretty much a given on the day of the competition. You can’t magically do something just a little different and become 20% stronger or faster, so relax. When I’m about to launch into a WOD I’m thinking, “It’s just another workout. Just do it like you’ve done all the others.” Important things make you nervous. They should, and they always will. You can’t avoid being nervous, but you can avoid completely flipping out and degrading your performance. It’s a big step to compete for the first time. Do everything necessary to ensure you perform at your peak, but on game day it’s too late to worry about where your peak falls among the competition. Have fun, eliminate regrets, and then celebrate–regardless of where you finish. How did you first get into CrossFit? 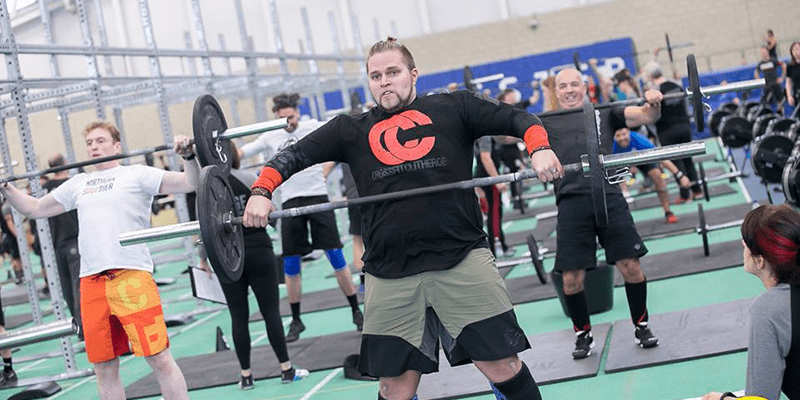 I was looking for a gym to get back into lifting weights and a friend of mine in Sheffield had been going to his box for a year or so and told me about the ethos of Crossfit and how it’s based on functional movements performed at high intensity. I decided to go and have a look and talk to Chris who owns the gym. I liked the raw feel of the gym and the fact that WODs were coached and lasted an hour as well as a focus on Olympic lifting which I loved as a younger man. Being a dad of 3 and a teacher I didn’t have loads of time to spend at the gym and my problem in the past was spending a lot of time not doing much so it was perfect for me. My favourite exercise has always been the squat. I have always been strong in my legs but as I progress in technique I’m enjoying more technical movements like snatches. Being a big guy bodyweight exercises like pull ups, handstand push ups and burpees have always made me die inside a little bit, but I’m learning that technique and mental attitude makes all the difference. How did you find your first competition? What motivated you to enter this competition? I am by no means an elite athlete but I love this sport and wanted to test myself to see if I could make it to the end without quitting. It’s one thing smashing a metcon in the gym and another being judged and watched by dozens of people. Did your training differ in the run up to the competition? Not really. I asked the crossfit community what I should or could be doing before, during and after the comp and got loads of great responses and advice as well as support. I looked at the movements involved in the comp and practiced my technique so that I wouldn’t get no rep’d. I worked out relatively gently the week before the comp and concentrated on my mental state so I wouldn’t get too nervous.